Where to Begin. – romi, kilo india delta. Man, I should have thought this through. Ok, a little background first. I love cooking, reading, and above all – I love the internet. So it’s natural that I’ve spent a fair amount of hours and days and months web browsing recipes in my free time. Only that I wasn’t exactly doing it in my free time. You see, I used to work in an Advertising Agency (didn’t we all? ), 9 hours a day (in a good day), and writing for a big client (amongst others) whose main product was food. I had to think about food on a daily basis. On an hourly basis. A whole lot. And I love it, don’t get me wrong. But I’m not a petit girl and I had to force myself into not cooking/eating everything I craved because I’d get huge in no time (happened before – I’ll come back to it in another post). So I found my answer. The same action I was partaking with so many other things I wanted in life (like creating this blog, for example); I saved it for later. So, I bookmarked all the recipes I wanted to try out for myself. There were a few at first. And then, there were a few more. And now, there are hundreds of them. Yeah yeah, i know. I didn’t get too creative with the title. Simple sometimes is better. Anyway, I’ll start tomorrow with a Carrot Cake with Cream Cheese Frosting… And you’re invited to the kitchen. 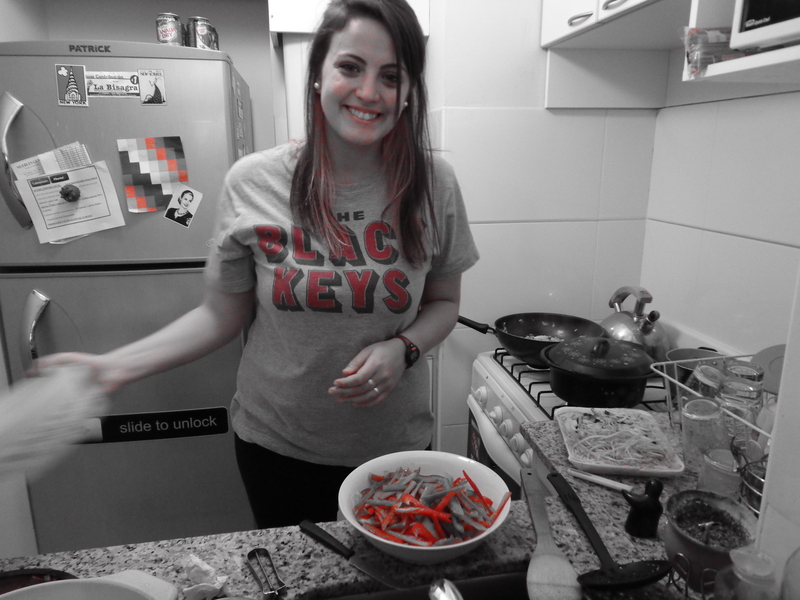 That’s me, super happy, in my favorite kitchen. More to this, soon in Kilo India Delta. Pingback: Carrot Cake Sunday | romi, kilo india delta. I am already intrigued. Tell us more.